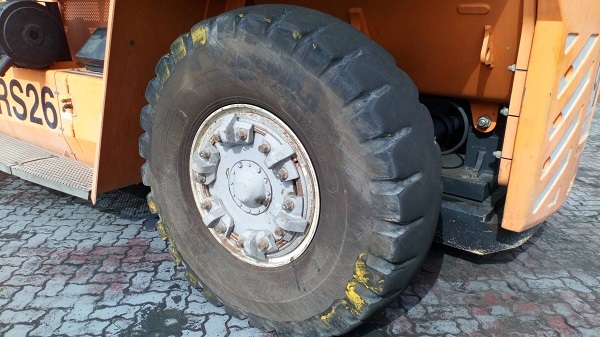 A set of Magna’s 18.00-25 MB02 port handling tyres, available in Ireland from Kevin Burke Tyres, are successfully running on a Reach Stacker in the port of Djibouti. 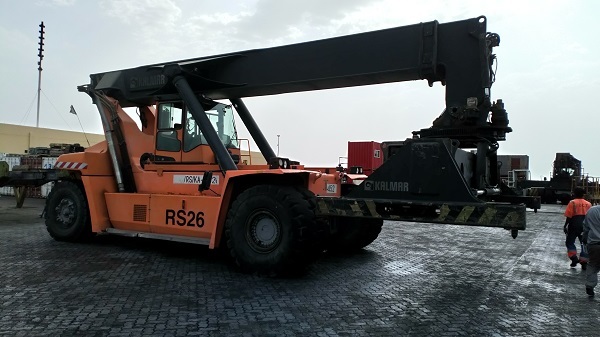 The Magna MB02 is designed for use on container handlers and reach stackers. Sidewall protection and flotation are enhanced by the wide shoulders design. The tyres contains a special industrial compound with even wear and strong resistance to cuts, ensuring a high life for these Magna tyres. Ports around the world are choosing Magna tyres for operations to reduce downtime and achieve efficiency in costs and time. The customer is very satisfied with the impressive efficiency and durability provided by the premium quality Magna port handling tyres.